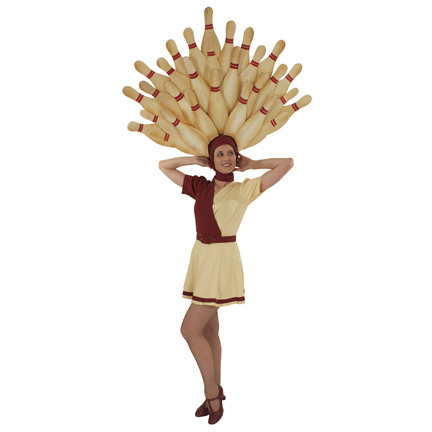 This complete dancer’s costume was worn during the “Gutterballs” dream sequence in the Coen Brothers cult film “The Big Lebowski” starring Jeff Bridges. 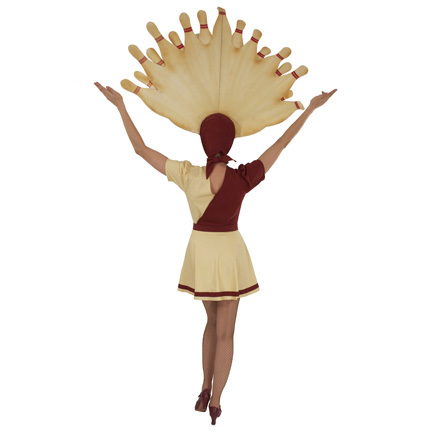 The most impressive part of the custom made costume is the “bowling pin” headdress. This item was meticulously constructed out of hand painted and cut foam layers, and has the dancer’s name handwritten inside. 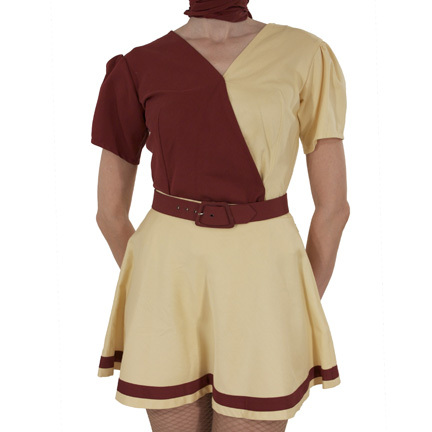 The rest of the costume consists of a 2-tone cotton/poly burgundy and yellow short sleeve blouse with attached yellow spandex dance briefs, matching skirt with a burgundy stripe at the hem, burgundy belt, and a pair of size 7½ t-strap dance shoes. 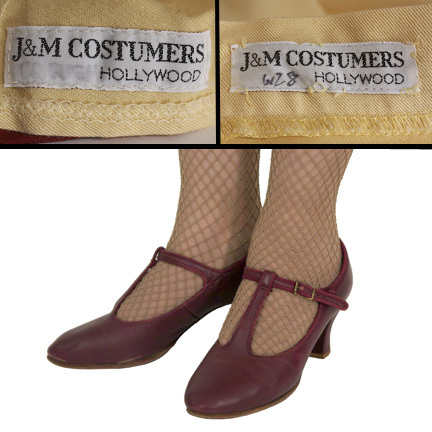 The costume was created for use in the film by J & M Costumers of Hollywood and the top and skirt both have the original maker's labels sewn inside. 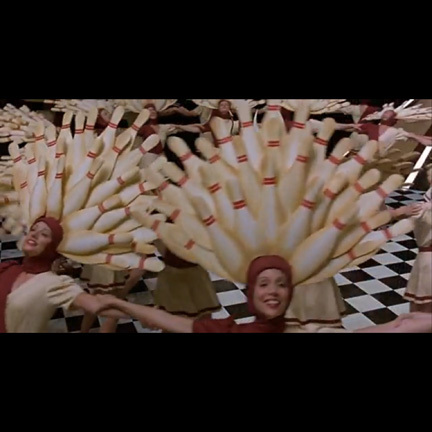 The iconic “Gutterballs” dancer costumes were seen in the dream sequence where “The Dude” (Bridges) has a hilarious bowling themed fantasy featuring various characters from the film. 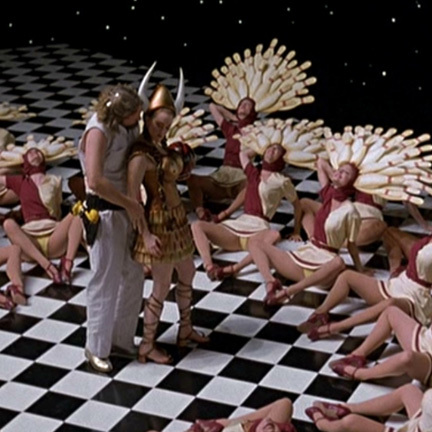 The elaborate set designs and use of multiple choreographed dancers in the “Gutterballs” sequence appear to be the Coen brothers’ homage to Hollywood legend Busby Berkeley, and was one of the most memorable moments from the film. 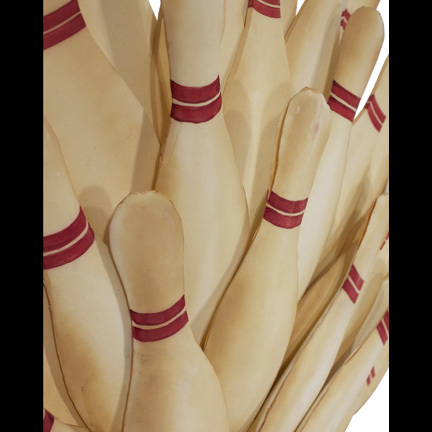 This original screen used costume was one of a limited number created for the production and is a true signature piece from “The Big Lebowski”. 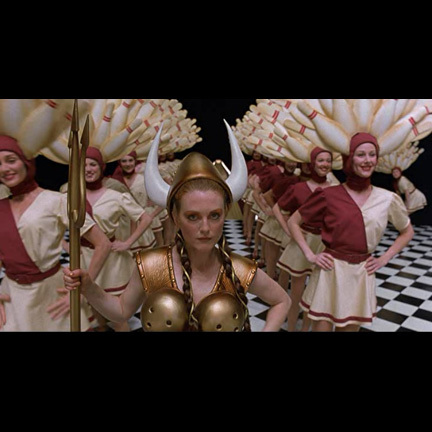 Since its release in 1998, the film has attained immense “Cult” status, spawning fan clubs and websites around the globe. 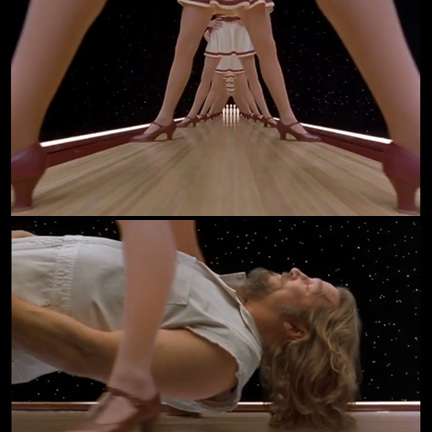 While successful at the box office, the movie’s ongoing popularity was an unexpected surprise to both the Coen brothers, and also signaled a sort of “comeback” for star Jeff Bridges. The continuing devotion of the film’s fans has even lead to the creation of a traveling “Lebowski Fest” convention that meets at various locations throughout the year (information on this can be found at www.lebowskifest.com). The costume is in excellent screen used condition and accompanied by a letter of authenticity from the costume house.